The new PowerBall® SAW Torch redefines performance & durability for SAW welding torches. 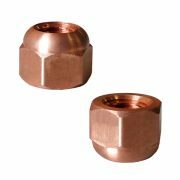 Utilizing the patent pending PowerBall® contact tip design with an all copper current path, the torch features 50% LESS electrical resistance than traditional SAW torch designs, resulting in energy efficient operation with longer lasting consumables. In a recent application, PowerBall® SAW contact tips lasted 5X longer than the previous tips used by the manufacturer! The new PowerBall® SAW Torch redefines performance & durability for SAW welding torches. 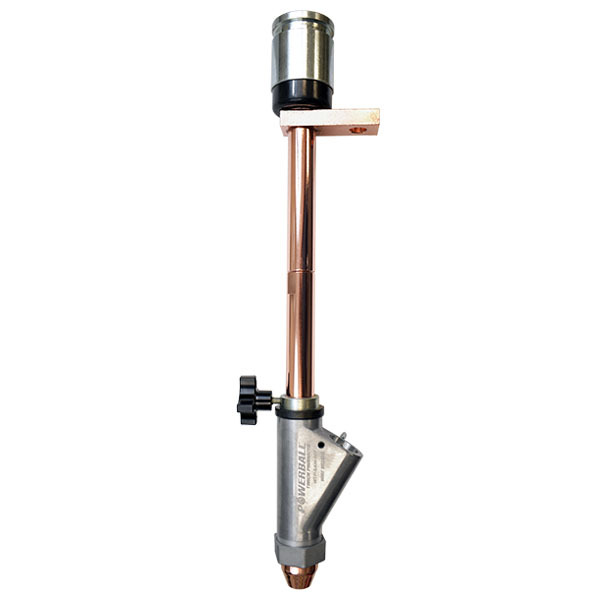 Utilizing the patent pending PowerBall® contact tip design with an all copper current path, the torch features 50% LESS electrical resistance than traditional SAW torch designs, resulting in energy efficient operation with longer lasting consumables. In a recent application, PowerBall® SAW contact tips lasted 5X longer than the previous tips used by the manufacturer! Combine the power of the PowerBall® SAW Torch with Wire Wizard® SAW wire delivery equipment for the ultimate submerged arc welding system.